A scene with three maidens by the water of a mountain lake. This Three Virgins tapestry shows these virgins adorned in flowing robes and garlands of flowers looking over the water in various poses. The play of light in this scene gives a romantic view, creating an effect that suits this idyllic and romantic scene superbly. 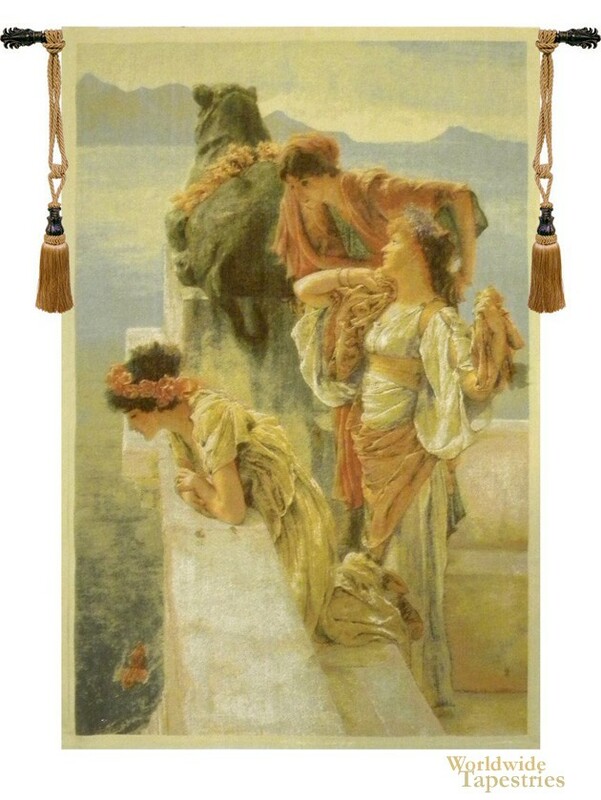 This fine art tapestry is backed with a lining and has a tunnel for easy hanging. Note: tapestry rod and tassels, where pictured, are purchased separately. Dimensions: W 40" x H 56"